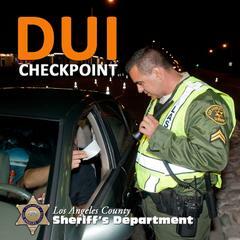 Los Angeles County Sheriff’s Department Traffic Services Detail, in conjunction with Compton Station, will be conducting a DUI/Drivers License Checkpoint on Friday, January 11, 2019, at an undisclosed location, within the city limits of Compton, between the hours of 6:00 p.m. to 2:00 a.m. In California, alcohol involved collisions led to 1,155 deaths and nearly 24,000 serious injuries in 2014 because someone failed to designate a sober driver. Over the course of the past three years Los Angeles County Sheriff’s Department deputies have investigated 1,474 DUI collisions which have claimed 69 lives and resulted in another 2,129 injuries.